I stopped by Whole Foods the other day for lunch. I love their cold counter but in my efforts to find something that was on the lower carb side I decided to go for their popular curried whole foods chicken salad. It’s so popular that it was nearly gone. I used to enjoy their curried chicken salad all the time years ago…no idea why I ever stopped!! 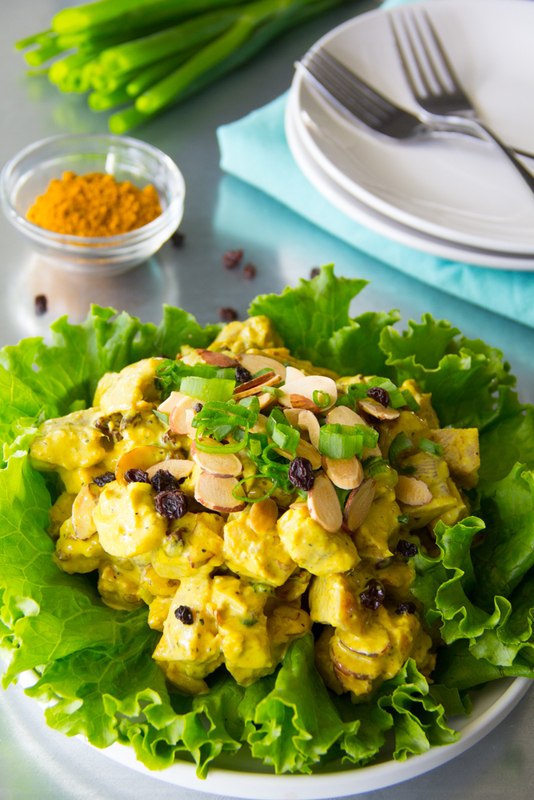 It’s so hard to put the fork down and I’ve always wanted to copycat my own version of their curried chicken salad recipe so here was my big chance. The Whole Foods Curried Chicken Salad recipe is so easy to replicate given that they list all of their ingredients on their labels. I just came up with my own measurements and boy that this curry chicken salad recipe not disappoint! I left hubby a plate of it in the fridge and he text me stating whatever that dish is that you left in the fridge…it was sooo good!! Lol!! So there you have it, the perfect Whole Foods Chicken Salad. It was a winner for hubby as well as Momma and Daddy. Speaking of winning…Are you facing a battle in your life? Know that God is on your side and has a plan for victory in whatever situation, challenge or hardship you’re facing. Know that the battle belongs to God as He has already secured the victory. 1 John 5:4 states “For everyone who has been born of God overcomes the world. And this is the victory that has overcome the world—our faith.” Know that our faith brings us to victory and that we are truly overcomers in Him!! Amen!! Say Grace and enjoy!! Preheat oven to 400 degrees. Place chicken thighs on a baking sheet, drizzle with extra virgin olive oil and sprinkle both sides of the meat with salt and pepper. Roast for 20 minutes or until juices run clear in thighs. Allow to cool. Slice chicken thighs into small chunks and place in a medium bowl. Add remaining ingredients and mix well. Garnish with almonds and green onions. Say Grace and enjoy! I have never had Whole Foods version, but my mom used to make a curry salad with mango chutney and I LOVED it. Can’t wait to make yours! 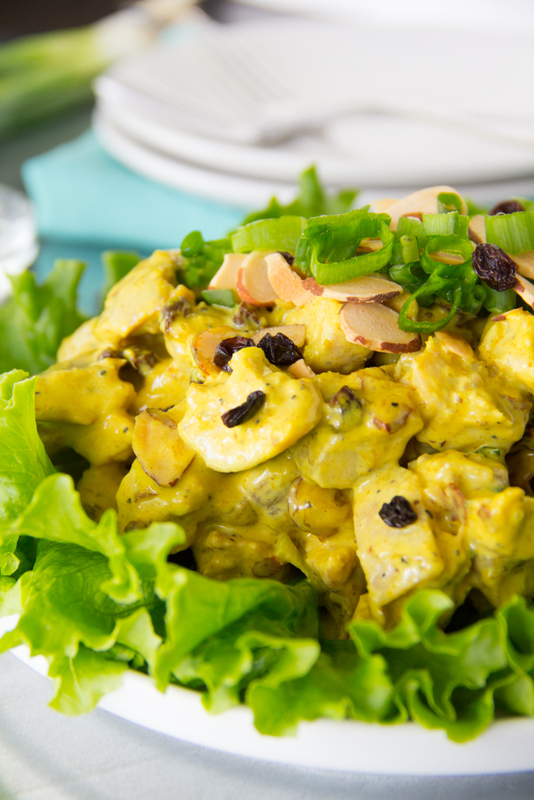 This curried chicken salad sounds amazing. I love curry taste. The addition of currants is awesome. I cannot wait to try it. It’s such a big hit for them especially in the summer months! Hope you’ll try this one. ? ooooooohhhhh. This chicken salad is one of the only things I miss from my meat eating days, lol. And you’ve done such a gorgeous version! Thanks Jeni! Suppose you could try it with tofu. I’m intrigued now. Let me know if you do! ? I am all for “copycat” recipes, and this sure looks like you nailed it. What a great salad…pour me a nice glass of cold white wine and call this dinner! Thanks Chef G! I could eat this all day long!! You nailed it!! I always get this at my Whole Foods and your copycat was perfectly amazing! I have a request: Can you attendmpt to duplicate their very popular, always sold out Jack’s Meatloaf(made with ground beef and oats instead of breadcrumbs). That would be remarkable,I have tried but not a true match. Thanks so much for who you are,God Bless! I made the curried chicken salad today and it was delicious! In fact, it was better than Whole Foods’ version. Thanks Felesha for the recipe! I tried this recipe yesterday. OMG. Taste just like the real thing! I shredded my chicken instead of cubing the meat, makes it easier to eat in a sandwich. I also added some cilantro and celery. So good. Thinking you can serve over lettuce or rice. Thanks again for sharing! Brilliant!! 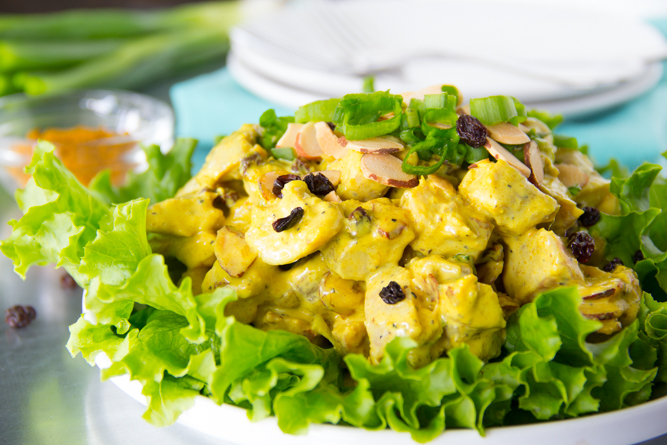 Your recipe for Curried Chicken Salad is amazing! It definitely tastes like the Whole Foods version. Thank you, Felesha! Need to make enough for party of 20…this is potluck so other food will be available. Hi Carol! I used chicken thighs to keep things moist and succulent. You are welcome to use breasts but be sure to roast them with the bone in and skin on to keep things juicy. Remove the skin and bones after roasting. Be sure to let me know how it turns out for you. Enjoy! Felesha, this salad looks amazing! I can’t wait to make it! Hi Olga! Hope you enjoyed! !